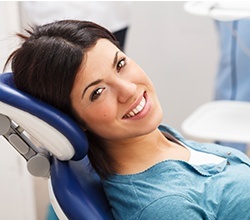 At Bruno Integrative Dentistry, our patients get the very best! Helping you achieve great health and confidence is important to us. Whenever you visit for an appointment, Dr. Bruno and her team will listen to your concerns and expectations before performing your dental examination so we can better personalize your experience. We will help you feel comfortable during your visits and stay fully informed about your oral health and treatment options. We provide a wide array of preventive, restorative, and cosmetic services. Advanced options like implant dentistry, endodontics, TMD therapy and sleep disordered breathing therapy are also available to ensure your smile and your overall health are always in tip-top shape. To learn more about all of our fantastic services, simply click on the links below. If you have any questions or would like to schedule an appointment, contact us today. We can’t wait to meet you!